Aspen ski resort, one of the more well-know ski resorts in the Rocky Mountains. Having hosted several major skiing events over the years as well as featuring in multiple motion pictures, the resort isnown throughout the globe. Despite there are plenty of guests on the slopes around Aspen, there is usually open spots on the mountain for both families and pros. Once the lift ticket is secured, the waiting line is usually not too long. Something which is most likely influenced by the many opportunities for shopping in down town Aspen. What a 5-star class hotel! In a terrain ranging from the family oriented skiing and on to steeper hills the owner of Aspen ski resorts, the "Aspen Skiing Company", offers a kaleidoscopic array of ski tracks and terrain parks for all tastes. Due to the versatility of its terrain, spending ones ski holidays in Aspen, will most certainly satisfy the majority of ski enthusiasts and tourists from America and around the world. It is not just the skiing that makes Aspen Colorado Winter Resort exceptionnel, but also the range of activities and amenities available. After a day of skiing, downtown Aspen offer indulgence in fine dining, a surreal nightlife and extravagant shops. The price tag in Aspen is generally a little bit higher than the rest of the united states, so be careful about the prices when you load your shopping cart. Aspen Snowmass boasts four massive mountains, each offering a unique experience for skiers. A free shuttle service connects all four skiable areas, Aspen, Snowmass, Highlands and Buttermilk. The entire ski area, offers an impressive 5517 acres of terrain suitable for skiers of all ages and levels of expertise. From the beginners who starts learning in either ski school or snowboard school, on to the master skier looking to show off his mad skills. Overlooking the town of Aspen, the Aspen Mountain is a perfect example of “size doesn’t always matter.” Aspen ski resort is by far the biggest resort in the Colorado ski area, but it is not necessarily a disadvantage. The Aspen Mountain is mostly a calm mountain with an average of three skiers per acre. The clear advantage is, the added freedom without the risk of running into other people too frequently. That makes it perfect for those who are here for the sake of skiing and want to avoid unnecessary social interactions on the mountain. Aspen mountain is equipped with eight lifts and a gondola that will take you to the peak of the hill so you can spread your wings and ski your heart out! By the numbers, Snowmass is the largest mountain of the Aspen Snowmass resort. 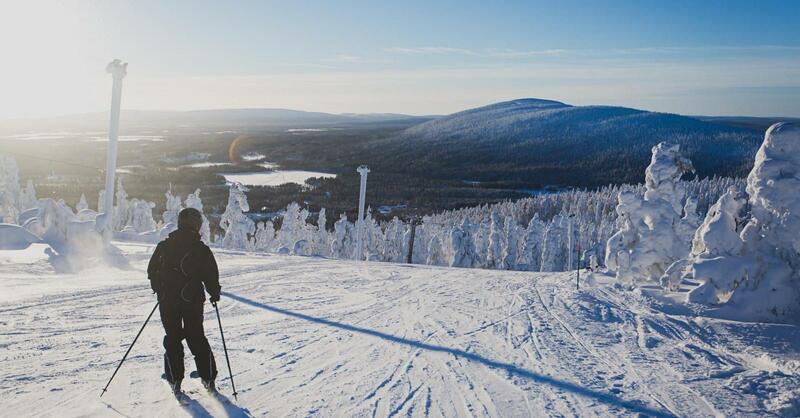 Equipped with twenty-one chairlifts and ninety-four trails, it offers the ideal terrain for beginners and experts alike. Snowmass is a family friendly area that lets the kids and beginners ski without facing the dangers of to steep slopes. The added benefit of this is that parents and pros can have their fun at the steeper sides of the mountain, without worrying to much about the kids. Fun fact; Many popular restaurants that have their base in Aspen, are running a daily operation on the Snowmass mountain. Buttermilk Mountain is the home ground for the prestigious X Games and Red Bull Double Pipe event. These events have made the mountain an international icon for all the freestylers, experts and professionals. Buttermilk Mountain is not solely reserved for hard-core enthusiasts; it also welcomes beginners and learners. Being the smallest mountain of the four, it is easily accessible by families. At the foot of Buttermilk Mountain lies the renowned training school called ‘The Hideout’. A state of the art ski school with experienced and professional instructors. Ski on 4 different mountains with 1 pass! 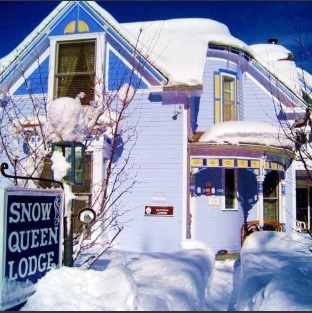 Top ski destination for LGBTQ travelers! 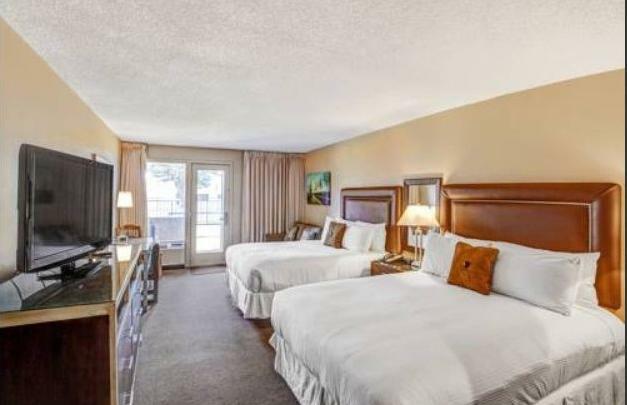 Among all of the ski hotels in Aspen Downtown a wide range of opportunities for unwinding and enjoying life awaits. Various clubs, bars, lounges and live music venues all sizes and all with a high price tag. Rest assure that the following nightlife destinations will most certainly keep your party going all night long. Escobar is located within what appears to be an ancient airplane. Although stashed beneath the streets, Escobar charges the atmosphere with adventure and evokes the illusion of flight. With an upbeat dance-floor, top notch Dj and exclusive bottle service Escobar is where the party happens. The walls are made of reflective mirrors and steel with a curved ceiling and private tables offering an intimate setting. The seductive glow in the bar is guaranteed to take your breath away with flash over bodies and neon laser shiver in motion. One will also see portraits of past drug lord Pablo Escobar hanging from the ceiling. A characteristic which undoubtedly gives the place a dash of controversy. The Regal Aspen is a haven for those who love energetic music and DJ- mixed dance. It is an underground bar located near East Hyman Avenue and South Galena Street. The regal Aspen is open all seven days of the week and has two bars and an enormous booth for bottle service. You can get free drinks from 9 p.m. to 11 p.m. with a performance by a DJ every night of the week and ladies talking up the show on Wednesdays for nonstop entertainment. 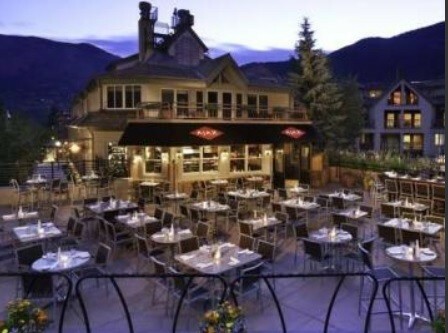 The Ajax Tavern is one of the most glamorous places to be at night with their mountainside patio as the silver lining. If you are looking for the best cocktails, the Ajax Tavern is the place to be. Apart from the cocktail setting, the bar also have the best fine dining in town with an upbeat atmosphere. Ajax Tavern is located right next to the Silver Queen Gondola and it’s the ultimate destination where the party rolls on well into the night. The highlights on their menu include the Ajax double cheeseburger and truffle fries. If you are looking for the best live music in Aspen, Belly Up is your place. Some of the best singers, jam bands and songwriters visit the place. But be quicks, the biggest shows are always sold out in no time. Numerous famous musical talents are hosted there including Snoop Dogg, Ben Harper and Chris Isaac. Make sure you check out their calendar for upcoming shows once you reach Aspen. Belly up has a capacity of around 450 people and recently made it to the top 20 clubs in America’s list by the Rolling Stone magazine. Although drinks are a little pricey, the experience is definitely worth it. J-Bar, short for Jerome bar, is the town’s special hot spot. With a casual yet lively atmosphere, socialites, cowboys, luminaries and ski bums all gathering here to get a hint of the Old West. Have a seat and enjoy various kinds of drinks including light dining fare and vintage-inspired cocktails. J-Bar is open daily from 11.30am to 1am. After spending a day in the ski country, one can indulge in the countless activities and sightseeing that Aspen has to offer. From museums to mines, rivers and mountains, Aspen is a complete package with something for everyone. Located in Downtown Aspen, the museum offers artistic insight into the local art showcased at the many exhibitions hosted every year. The museum does not charge an entrance fee so everyone can appreciate the art without reaching in their pocket. The museum also has an in-house café that boasts a surreal view of the Maroon Bells Mountain. Coupled with their gourmet food, it surely is a match made in heaven. Travel back in time to the Silver Mine located at the footsteps of the Smuggler Mountain. Opened in 1879, the mine is still operational a century later, preserving the ambiance of the late 19th Century. The tour will not only give you a sneak peak of the mine, but will take you deep into the tunnels so you can captivate the authentic experience of a mine. Wheeler Opera House was constructed back when the town of Aspen was being built in 1800s. The opera house was later restored and renovated around 1950 and since then has been the hub of theatre and live music. Feel like delving into music or theatre on a gloomy evening? This is your go-to place. Feel like going on a drive through the mountains? The Independence Pass would be the ideal place. The silky roads and curves pave way through the beautiful scenery of the Rocky Mountains. This is not just a drive, but a destination, the beauty of which can only perceived by the eyes. Maroon Bells is a popular tourist site. Getting there is very convenient as one can take the bus that operates every day. For those looking to go above and beyond the experience can visit Crater Lake, which is a 20 minute drive. You can take your own car up to the lake, but only after 5 PM. Alternatively you can always be adventurous and hike your way there.